It is confirmed! The Great Strides LI team is the BEST team there is! 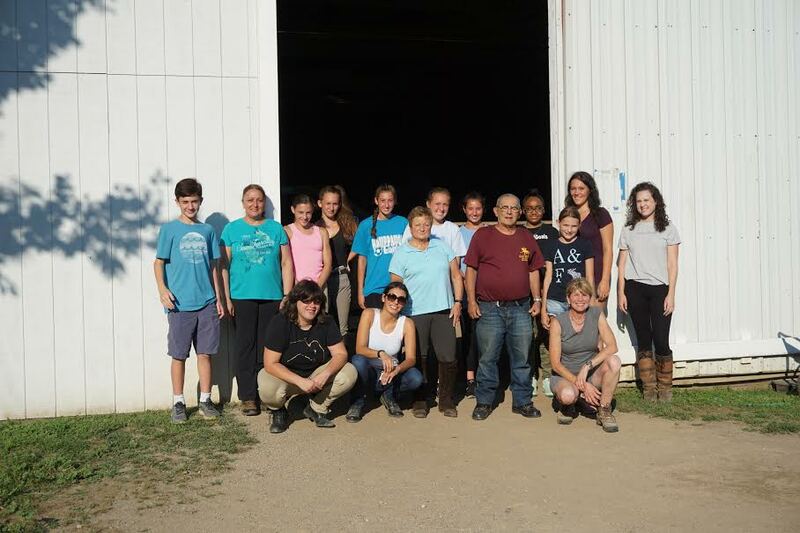 Our therapeutic riding program is one of the most enduring on Long Island. Our riders come back week after week, year after year. Our volunteers help out all year long, during the day and in the evening, rain, snow, or shine, throughout each season of the year! So yes, if you are interested in helping out we need you! • we also need help in providing frequent updates for Facebook and our website! Volunteer hours are not only used for therapeutic lesson times. We periodically do intermittent necessary chores. All volunteers must be willing to participate in any of the tasks listed below. Volunteers must be at least 12 years of age and volunteer for a period of no less than 2 hours a week. Minors must have the forms signed by a parent or guardian. All volunteers must also read and comply with the rules and guidelines within the Volunteer Manual. While no experience is necessary, the ability to follow directions, take instruction, stay focused and maintain a positive attitude is required. If you are interested in volunteering we would love to have you! You can also call or text 631-680-9222 to express your interest and learn more!